Using the existing manipulator, we revitalized the ram motion by polishing the top and bottom round rails and upgraded the operator pendant with a five turn pot with a counter and lock. 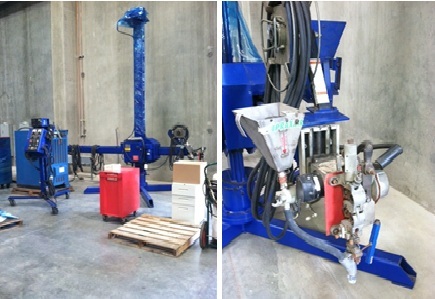 All of the welding equipment was replaced with pre-programmable, closed-loop feedback technology. This allows the operator to “pre-program” the welding parameters digitally. The closed-loop technology constantly monitors the parameters to maintain what the operator had programmed. In addition, we added an air powered flux recovery unit and a precision laser pointer to guide the welding path. 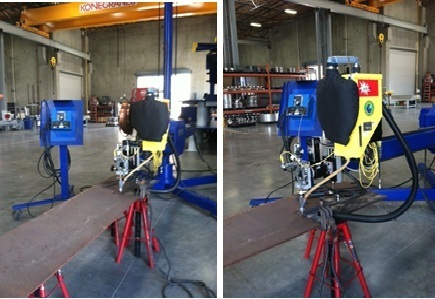 R.J. Kates Company, Inc. specializes in complete retrofits on all brands of welding automation.